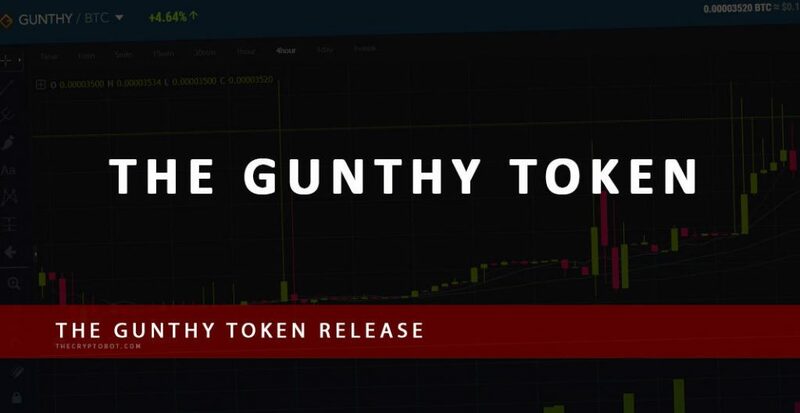 Gunbot aims to ease the cryptocurrency trading process and it does so by allowing you to trade an unlimited amount of trading pairs. Gunbot will not limit how many pairs of Altcoins you can trade, but if the exchange you are trading on only has 20 trading pairs, you will only be able to trade that many pairs on that exchange. With proper utilization of your funds and a bit of attentiveness to market fluctuation, your trading pairs can seamlessly run as long as the exchange has no downtime. Certain people may drive across town to buy a certain sandwich or to drink a specific coffee and the cryptocurrency ecosystem is no different. Some of us have a fondness for certain cryptocurrencies, which at the present time are only available on specific exchanges. 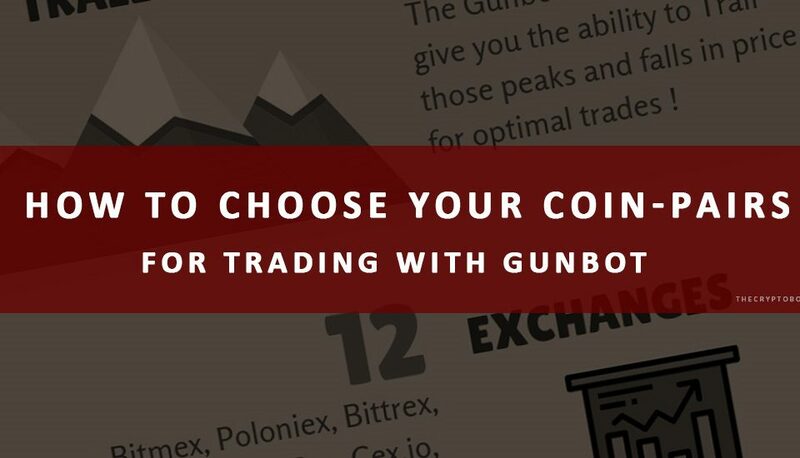 Whether you are going with your gut to choose a particular bunch of Altcoins to trade on, or if you just want to go wide and pick every single trading pair available, Gunbot allows you to determine your own limitations. 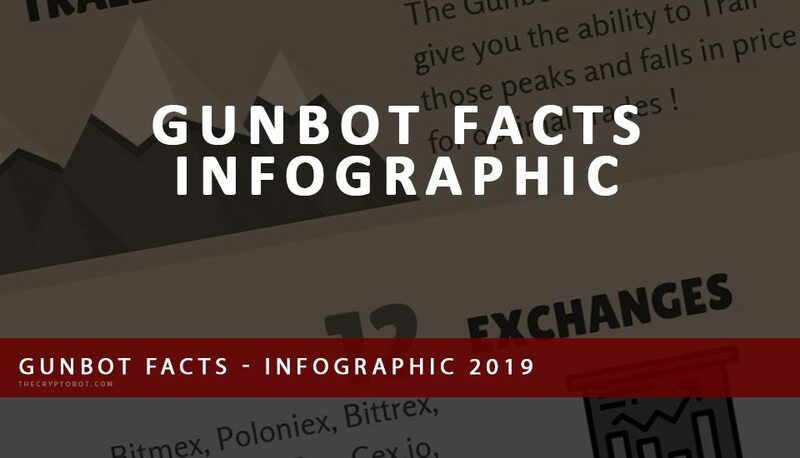 While Gunbot will not limit the how many pairs you are trading, keep in mind that the amount you are risking per trade will be multiplied per additional Altcoin. Some cryptocurrency exchanges are thriving, while others are slowly losing the amount of trades occurring due to hacks that have occurred on them, or due to a lack of Altcoins available for trade. If you are seeking out a particular Altcoin, ensure that your cryptocurrency exchange of choice has it available and that it also has enough volume to make your trading viable. If your trading for example, BTC-ETH, and for some reason the volume drops down to 20 BTC of volume, then it’s a sign that the exchange might not be the best for you as the trading taking place will be minimal at best, and it might take quite some time for your trades to take place. While we are on the cutting edge of technology currently within the cryptocurrency realm, there are some Altcoins that unfortunately have lost viability due to certain developers quitting, a vulnerability being found within the code of a coin, or simply a lack of progress taking place on a project. Doing a bit of due diligence before engaging in trading an Altcoin is always a wise choice, as that very coin could be in the progress of being delisted, which is usually the worst-case scenario for a trader. On the flip-side, if a coin has had some sudden amazing new partnerships, trading a coin on a huge upswing will be difficult as well, as buying as a price increases will possibly leave to you holding when the sell-off occurs, meaning it will be a while before the all time high reoccurs. While Gunbot can trade as many Altcoin trading pairs as the exchange you choose provides, keep in mind trading a huge amount of trading pairs has its drawbacks. Adding a small delay within the Gunbot configurations is usually necessary to being soft banned from your cryptocurrency exchange, so for each instance of trading pair, that delay will be multiplied. For example, if you are trading 20 Altcoins, and you use a delay of 10, the delay that occurs before your trading loop recurs back to the first trading pair on your list, there will be a delay of at least 200, meaning you can lose some trades during the time the cycle is occurring. Also, if you are attempting to trade on a large amount of Altcoins, you will need the capital to cover these trades. If you are putting 20 dollars of Bitcoin as your primary currency that you invest per trade, you would need that amount per Altcoin you are trading. This can get cost prohibitive. If you are attempting to use strategies that focus on capital intensive settings such as “Double-Up”, which will lower your average cost, but also tie up a lot more resources per trading pair, know that the overall cost per trade will rise quite quickly. A lot of notoriety goes specifically to Bitcoin but other primary coins do exist. Exchanges such as Binance have their own primary coin, known as Binance Coin, or BNB, which is also available for trading for Altcoins. Some people feel that Binance’s coin will outpace the growth of Bitcoin, while others prefer the non-volatile nature of Stable coins, so depending on your personal outlook, choosing another primary currency might be your preferred method of trading. For Gunbot, always ensure that you capitalize your inputs when setting up your Gunbot. For example, you will need to input “BTC-ADA” to purchase Cardano coin with Bitcoin, even though most exchanges depict the trading pairs as “ADA-BTC”. This is absolutely necessary to ensure that the trading bot functions correctly. Hopefully this article helped clarify how many trading pairs Gunbot can trade in one instance. Keeping in mind a few small things, such as the best way to determining the Altcoins you want to trade, and ensuring that your exchange has enough volume to ensure a fair amount of trades occur will carry you a long way. Doing a little research on the Altcoins you want to trade to make sure the company behind them isn’t disappearing any time soon will be a good way to make sure you can sleep a little easier at night. Never forget to ensure your finances can support the amount of trading pairs you are interested in, as well as the strategy you are attempting to trade with. Lastly, Gunbot can do a lot of things automatically, but it can not choose which crypto coin-pairs to trade with, so choose which type of currency suits your needs and trade away. How many coin-pairs are you trading with your Gunbot ? Share your thoughts in the comments below !